The last of this month's Verve Viva La Verve Sketch Challenges! I really had fun making these cards this weekend! I have uploaded them to the Challenge at Splitcoaststampers. 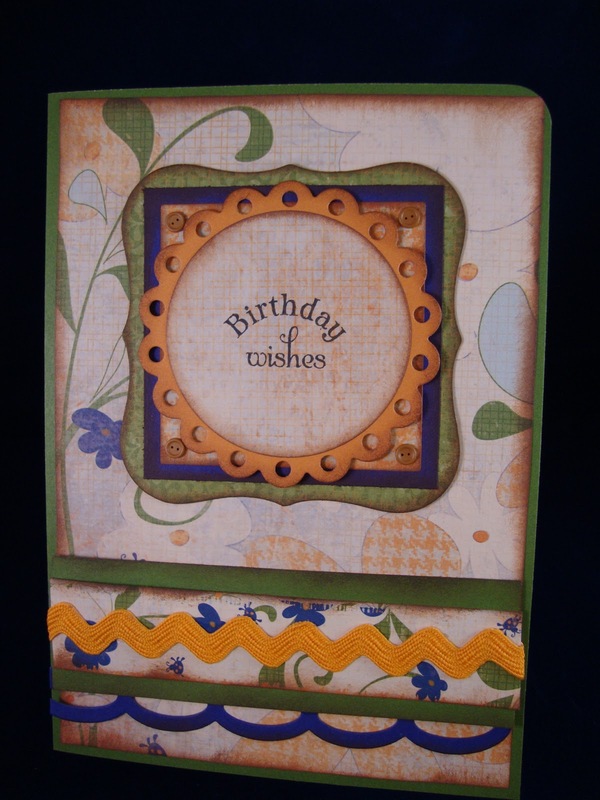 The winner wins a free stamp set from Verve stamps ! Wish me luck! Once again I used the same DP paper, plus some blue card stock that I had on hand. As you can see... I used several Nestabilitie dies for the center piece. I used the circles, squares, eyelet scalloped circles and Labels 1!!! I sponged all the edges with the Colorbox Chalk Ink in Chestnut Brown. I attached 4 tiny button brads at each corner. I adhered this with dimensionals. 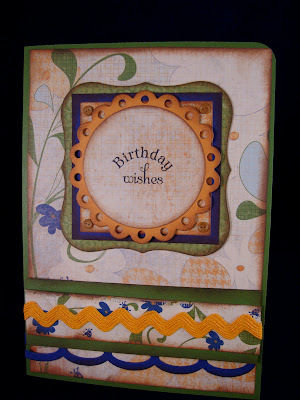 I used the Open Scallop Border Die from Die-Namics My Favorite Things . I layered it with green and DP paper. I then added some dark yellow ric rac ribbon.